Request for P.T. Dachterrassen Whg. Olbia is the lively metropolis in the north-east of Sardinia with idyllic beaches. Just like the main beach Pittulongu, countless idyllic beaches in the Gulf of Olbia await to stun visitors with white sand and crystal-clear water. Relaxation and unspoiled nature - just 5 km from the centre of Olbia. Golfo Aranci and its beaches are located on the picturesque Capo Figari in the north-east of Sardinia near Olbia. Snow-white sandy beaches alternate with small, romantic bays, providing the perfect mix for families with children, surfing fans and those seeking peace and quiet. Porto Rotondo is a sophisticated spot in the north-east of Sardinia with spectacular beaches: small and idyllic or expansive and golden yellow - bays like Spiaggia Ira and Cala Sabina offer something for everyone, whether high society, families or those in search of true relaxation. Residence Lu Nibareddu is situated in Porto Taverna (province of Olbia, north east of Sardinia), famous for its beach with a breathtaking view of the island of Tavolara and not far from other renowned beaches like the La Cinta beach in San Teodoro. The residence is only a few kilometers away from Olbia, San Teodoro, Golfo Aranci and other famous places like the Costa Smeralda with Porto Cervo and Porto Rotondo. Due Lune Resort & Golf (****) is a great way to enjoy your stay in Puntaldìa. Built in harmony with the unique beauty of the territory, the resort has 65 rooms with all the amenities and a panoramic view of the Puntaldìa coast. The Aglientu B&b farm is nestled in a wonderful valley in the green of Gallura countryside, just a few kilometres from the most beautiful beaches on the Northeast Sardinian coast. The farm offers comfortable rooms in the warm and healthy atmosphere of an old-fashioned farm house, carefully renovated respecting the ancient Sardinian traditions, togheter with the wonderful opportunity of eating fresh organic fruit and vegetables produced locally or even that of learning some pottery techniques. 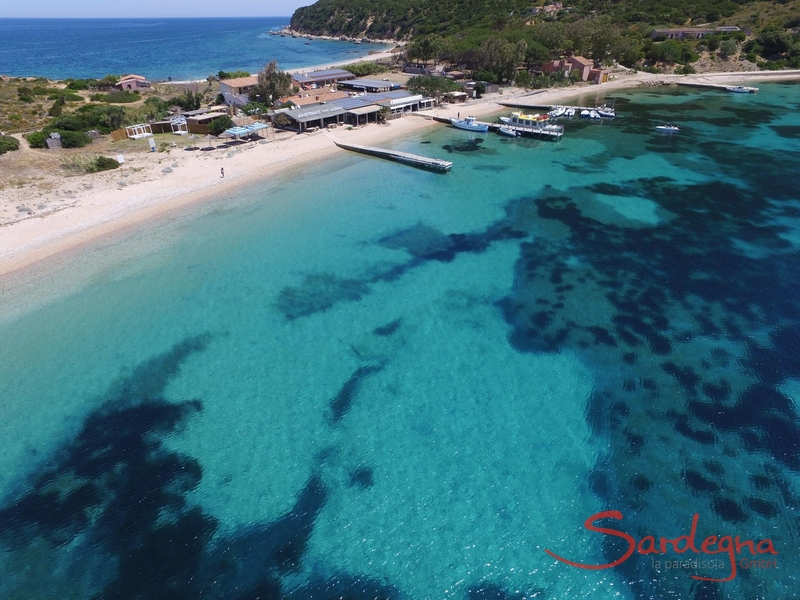 Hotel Stefania is a small, well-maintained 4-star hotel situated barely 120 m from one of the most beautiful beaches on Sardinia's northeast coast, between Olbia and Golfo Aranci. The hotel's architecture, with its pastel-coloured facade, blends in harmoniously with the landscape and the well-tended garden. Porto San Paolo - paradisical beaches, hiking trails and islands. Porto San Paolo enjoys a particularly idyllic location in north-east Sardinia: not far from Olbia, it presents a fascinating fusion of beautiful little bays and diverse hinterland landscapes for hikers. Just ten minutes away, the islands Tavolara and Molara offer breathtaking scenery. San Teodoro - dream beaches and lively nightlife in northern Sardinia. San Teodoro is a vibrant tourist destination south of Olbia. The former fishing village is a hub of activity with Caribbean-style beaches, diverse sports, lively clubs and sophisticated bars. The hinterland offers untouched nature and pure relaxation. Olbia - Sardinian flair that fuses city chic and idyllic beach. Olbia is a lively city in north-east Sardinia. Those who arrive by air or sea are immediately whirled into the midst of the Mediterranean lifestyle. Small, winding streets alternate with upmarket shopping precincts, whilst the bay of Olbia awaits with its truly breathtaking beaches. Golfo Aranci - idyllic bays and dolphin watching. Golfo Aranci is a fishing village near Olbia with daily ferry connections. Here, life is enjoyed at a slower pace than in the city, and its idyllic beaches with turquoise water are the perfect place to relax. And Golfo Aranci’s small harbour is also the ideal spot for dolphin watching. Porto Rotondo - a luxurious fusion of yachts and idyllic beach life. Porto Rotondo is the perfect example of upmarket Sardinia. Imposing mansions owned by famous celebrities, a stylish marina and fine, sandy beaches otherwise only seen in dreams exude luxurious charm. Its elegant shops and restaurants bring a generous serving of glamorous dolce far niente. Costa Smeralda - idyllic beaches with a touch of luxury. In Costa Smeralda, it’s not just the sea that’s exclusive: the Caribbean-like beaches welcome tourists and the jet-set elite alike. The upmarket residential architecture uses Sardinian materials and the illustrious town of Porto Cervo has always been the life and soul of the party. San Teodoro’s Aviosuperficie (light aviation), near the lagoon, offers the magical and emotional experience of flight with a micro light aeroplane on one of the striking islands of San Teodoro’s seaside. A number of aircraft are at your disposal, and it is possible to engage in many activities and classes as the school is officially certified by the Aeroclub d’Italia. If you arrive by plane, it is worth doing a big shop at this shopping centre. It is very close to the airport on the southern outskirts of the town of Olbia. Apart from the huge supermarket, you can find almost everything here, from a shoe shops to a shop selling furniture and appliances to a fast-food restaurant. After leaving the airport area, take the road on the right to S. Teodoro. From here the route is signposted. Mon-Sat 9:00-21:00, Sun 10:00-21:00. This shopping centre is located on the northern outskirts of Olbia and offers extensive shopping. There are some major specialty shops and a self-service car wash. It is well signposted and can be seen from the main road SS 125 Olbia/Palau. Open daily from 9:00-21:00. Here you can buy traditional Sardinian hand-woven carpets, ceramics, gold and silver jewellery as well as wooden items. San Teodoro boasts the presence of a small but important archaeological museum in the village Niuloni, which collects the material evidence of the past. Some of the findings come almost entirely from the seabed off the San Teodoro coast, and some are donations from citizens. Sailing courses, boat licenses, cultural events, water, environmental protection of the marine world. Breakfast, a good, quick lunch, great appetizers, dinner, cocktails and live music in an elegant setting. Popular disco on the Cala d'Ambra beach. Very chic, very trendy. Indoor and outdoor dance floors. One of the most highly recommended clubs in Porto Rotondo. Italy's best known DJs come here to lay down their tracks. Open from early July. The modern and lively town of Olbia was known as “the happy town” by the Greeks and is world famous for its close proximity to the Costa Smeralda. It stands on a wide natural gulf whose perimeter is defined by the splendid islands of Tavolara and Molara. The Costa Smeralda airport lies in this area and continues to record increasing numbers of tourists every year. San Simplicio is celebrated on the 15th of May every year with a solemn procession, fireworks, poetry contests and a large mussel festival. Events worthy of note in the summer are the “Week of International Folklore” with all kinds of musical, theatrical and film events and also the Feasts of the Madonna del Mare and San Giovanni Battista. Bados, Baia Corallina, Gavrile, La Peschiera, La Playa and Rena Bianca are some of the area's most beautiful beaches (sardegnaturismo.it). Golfo Aranci lies in front of Capo Figari and overlooks the Gulf of Olbia. From Golfo Aranci to Olbia stretches a low, regular coast with small bays and beaches with fine sand. One of the peculiarities of the village is the old fishermen's settlement by the sea, with the colourful little houses and fish shops, where you can buy fresh fish all year round. In the Via Libertà you can find many nice shops with handicrafts and typical products, especially during the summer months. The luxury resort of Porto Rotondo and the marina of the same name (Porto Rotondo means "round-shaped port") were founded by two Venetians in 1963. Great importance was placed on the harmonious integration of the architecture with the rocky landscape. The town is picturesquely arranged around the sophisticated marina. Although Porto Rotondo no longer officially belongs to the Costa Smeralda district, there are almost as many VIPs among the villa owners as in Porto Cervo - Silvio Berlusconi among them, with his summer residence, Villa Certosa. As far as luxury boutiques, exclusive restaurants and clubs are concerned, there is no shortage. The Porto Taverna beach is a few kilometres away from Porto San Paolo. The sand is white, and the turquoise water is very clear. This area is suitable for families with children and belongs to the Tavolara nature reserve. The view of the island of Tavolara is impressive. On the beach it is possible to hire sun loungers, beach umbrellas, surfboards, windsurf boards, kayaks and rubber dinghies. Pink flamingos can be observed living in the pond behind the beach. The Cala Girgolu beach is famous for its rock formations and for the water that reflects all the blue tones. The beach is ideal for families with children. You can reach the beach from the SS 125 from Siniscola, at km 298 and follow the dirt road to the parking lot. The beach and the seabed has fine, bright sand and is surrounded by a pine grove and dunes. At the beach there is a small pier for smaller boats. The beach is ideal for families with children. Sun loungers and beach umbrellas can be rented here and there is also a café. To reach the beach, take the SS 125 towards San Teodoro, then turn off towards Capo Coda Cavallo and continue another 900 meters. Then turn right into the car park. Here you can spend time dipping your toes in bright turquoise water. The beach is excellent for children. You can reach it by driving from Olbia via SS 125 direction Siniscola to Lutturai. Then turn left and follow the signs to the beach. When you drive to the village of Murta Maria and follow the signs, you can reach several sandy beaches where the sea fascinates with its range of colours. One of them is called Porto Istana. This is a wide beach with fine, very bright sand and bright clear water - just breathtaking. For nature lovers, the dunes covered with broom, juniper and lilies are a real pleasure. The beach is ideal for children. On-site facilities include a bar and sun loungers and beach umbrellas. You can reach the beach via the SS 125 towards Siniscola. At kilometre 295 turn left to Marina di Lu Impostu. You can also reach the beach on foot from the Cala Brandinchi beach car park. La Cinta is the most famous beach in San Teodoro. A path through the broom and Mediterranean wildlife leads to the white beach. La Cinta is ideal for families with small children, but also for sun worshipers and bird lovers. You can reach the beach of Olbia on the SS 125 traveling southwards. When you arrive in San Teodoro, follow the road for another 850 metres. Next, turn left after the bridge and follow the road for 1.3 km to the car park. At the beach there is a bar and boat rental. Just south of the town of San Teodoro (4 km) is dell'Isuledda beach, a beautiful beach located close to a small pond, with fine white sand and clear water. Nodu Pianu opens on a spectacular stretch of coast, just north of the Gulf of Olbia, which includes the towns of Pittulongu and Nodu Pianu up to the imposing profile the Capo Figari overlooking the Gulf of Golfo Aranci. This stretch of coast just south of the Costa Smeralda is characterized by pink granite rocks and splashes of Mediterranean green bushes, overlooked by the fascinating profile of the island of Tavolara, peaking out of the sea in the south east. On the beaches there are restaurants and bars, and you can rent chairs and beach umbrellas. Because of its proximity to the city (the villages are less than 5 km from the outskirts of Olbia), the two beaches tend to fill up, especially on weekends. The beach is just a few miles east of Golfo Aranci towards Capo Figari, along the train tracks. Cala Moresca is not accessible by car, and the walk through the nature reserve is about 2.5 km long. At the end of the walk you reach a pine forest which overlooks the bay of Cala Moresca. Here you can marvel at the bay's two beaches, which are characterized by fine, golden sand. The emerald-coloured water along with the bright rocks offer a picturesque sight. In the background is the island of Figarolo, reachable only by boat. The island is the perfect habitat for mouflons because of the high and steep mountain walls. Behind the beach there is a disused brickworks, a museum piece of industrial architecture. Nearby there are little paths leading to Capo Figari, from where one has a splendid view of the gulf. One can also visit the cemetery of the castaways and the old lighthouse. The white beach is located on the road from Olbia to Golfo Aranci. It is a beautiful beach with clean and clear turquoise water. The beach is about 100 metres long and is bounded laterally by two rock jetties. Behind the beach are dunes leading to the Mediterranean scrubland. In summer, the beach can become a little crowded as it has a lido. Near the centre of Golfo Aranci is the Baia Caddinas beach, which has fine white sand and clear water. The beach is well equipped, and it is possible to rent sports equipment. You can also walk to a small tourist port. Golfo Aranci's main beach is accessible from the main street to the city hall. It is one of the largest beaches and has bright, fine sand and crystal-clear water; it has a partly sandy, partly rocky seabed. Furthermore, one has a great view of the gulf and the island of Tavolara. The beach is well equipped with various kiosks and a free parking. The location is perfect because of its proximity to restaurants, pizzerias and the town centre. The second beach can also be reached from the main road, or alternatively by climbing over the low granite cliffs. This beach is smaller and partially equipped with beach chairs and beach umbrellas. The fourth and fifth beaches are not far from the village. These two beaches have fine sand and turquoise water. On the seabed you can see a mixture of sand and stones. There are also the banchi di Posidonia, a refuge for small fish. The two beaches are separated by a small bank of rocks. At the end you can see the Capo Figari and the island of Figarolo, picturesque spots for nature lovers. The third beach is located along the main road and is one of the most beautiful beaches in this area and can therefore become a bit crowded. The beach has fine white sand and overlooks the emerald green sea. As the water is very shallow for a long time, you can enjoy the magically transparent water. Furthermore, from here you have beautiful view of the island of Tavolara that majestically emerges out of the horizon. The lido offers a bar and is well equipped with beach chairs and beach umbrellas. The beach of Cala Sabina is located near the roundabout at the entrance of Golfo Aranci. It is a beautiful beach of white sand and clear, shallow water. The beach is surrounded by juniper berry trees and Mediterranean shrubs. There is a kiosk that offers various services and a car park. Sand beach with an excellent view of the islands of Mortorio and Soffi. The crystal-clear water makes it a perfect place for snorkelling. To get here, take the direction towards Punta di Volpe and continue for about 750 metres after the car part. Take the walkway to the left that leads you to the bay. This beach is very popular with VIPs. In fact, it owes its name to a famous German aristocrat, Ira von Fürstenberg, who used to stay in a villa here. In the summer months, the sea is crowded with the luxurious yachts of the Costa Smeralda´s high society. The beach is within walking distance of the centre of Porto Rotondo. Sandy beach with a stunning view over the Golf of Cugnana. The bay is located at the East end of Porto Rotondo. Shallow water and thus very suitable for small children. Here you can rent umbrellas, sun beds and pedal boats. This beach is also located in the town of Portisco. Extremely fine, brilliant white sand with small dunes behind the beach. Fabulous scenery of thick Mediterranean vegetation and pink-coloured granite rocks. Directions: drive along the SP 94 towards Olbia until you reach the Portisco sign. Here you turn off to the left and drive some 300 metres further to the beach. Beach umbrellas, sun loungers, pedal boats and motorboats can be hired. This bay is favoured by divers and windsurfers. Because of its fabulous setting, this beach has been designated as being of special value by Legambiente (the Italian environmental protection agency). It is located in an area of wetlands and owes its name to the reeds that grow there. Drive along the SP 94 coastal road towards Olbia and then turn off left to the beach. Do not miss an excursion to the islands of Tavolara and Molara. The island of Tavolara has the shape of a triangle, at the corner of which are Punta Timone, Punta del Papa (the cave once served as a hiding place for the Pope), Punta la Mandria and Coda di Terra. The nature reserve can be approached from Porto S. Paolo, depending on your preference, with large excursion boats or small motorboats (with or without a skipper). You can also go as part of an organised fishing boat excursion or as part of a diving excursion. Bar directly at the port in Porto Rotondo. Here you can enjoy delicious drinks as well as good food with a view of the bustling harbour. 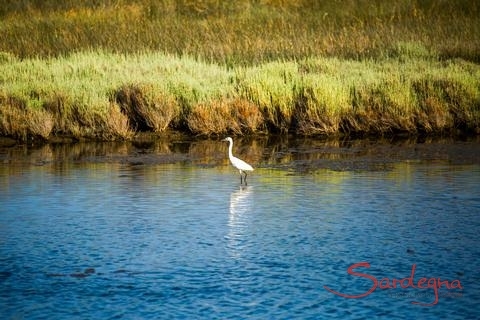 The San Teodoro lagoon is a balanced ecosystemand a protected area. It is a paradise for flora and fauna, and ornithologists enjoy the great bird diversity. 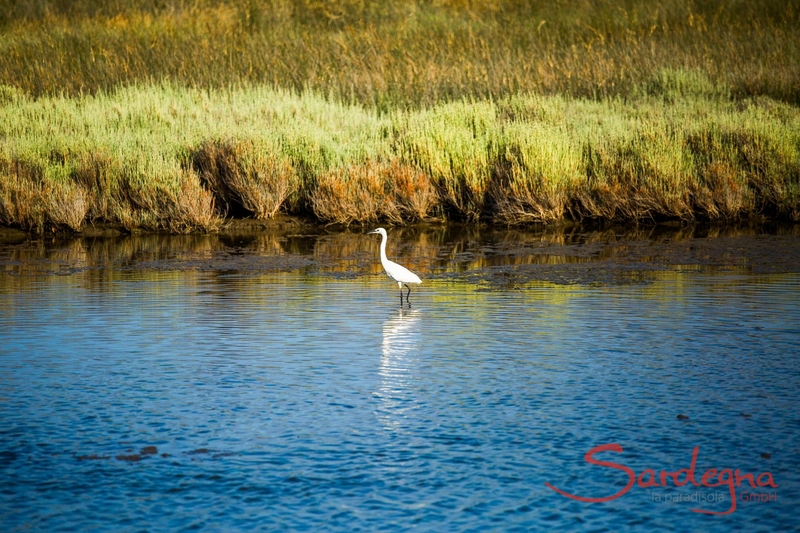 In and on the lagoon you will find sea bass, sea urchins, flamingos, cormorants, herons, tower falcons and many more animals. You can discover the lagoon independently by following the "La Cinta" trail, which starts at the southern end of the beach (large car park). Diving, excursions and guided tours in an off-road vehicle including lunch. A walk from Cala Moresca the Cape of Punta Filasca takes you to the impressive "graveyard of the English" or "graveyard of the castaways". Here are the graves of sailors who over the centuries have become victims of shipwrecks. The walk continues to Cala Greca that has a pebbly beach, reddish cliffs and crystal-clear water. Trekking Capo Figari will reward you with breathtaking views! On a path past the sandy beach of Cala Moresca, you will reach the terrace of an old fortress after a few hours of walking. The fortress is also called 'semaforo Vecchio" (old traffic light) and is a former naval base dating back to the 1890. It is located on the cape at an altitude of 344 metres above the sea. Here Giuseppe Marconi experimented with success the broadcast of radio-telegraphic signals. From the top, you have a wonderful view over the islands Tavolara Figarolo, Mortorio and Golfo Aranci and with a little bit of luck, you will get to see some mouflons who pass through the Mediterranean shrubs. The church of Madonna del Monte is a small rural church on the hill of Santa Maria di Figari. It is said that a ship captain promised to build it and consecrate it to Saint Mary if he and his crew were to reach the mainland after a shipwreck. He came and fulfilled his promise. The church now sits high up with a unique view over the Golfo di Marinella. From there you can reach the coastal road of Golfo Aranci, which leads in the direction of Golfo di Marinella. There is usually a worship service every first Sunday of the month. The Usinavà forest is located in the Torpè municipality and covers about 1146 hectares. Rough, wild rocks are characteristic of the area. The rocks have assumed strange forms due to erosion, and the forest is full of animals: mouflon, wild boar, hare, deer and many others. Here you can hire cars, motorcycles, scooters, bicycles and dinghies. Car, motorcycle and bike hire. The bikes can be brought to your house upon request. Rental of motorcycles, scooters, bicycles and cars. Only a few kilometres from San Teodoro, this restaurant offers a rustic ambience and the freshest fish. They have a fixed-price menu, and you are sure to leave satisfied. Reservations are recommended. Typical Sardinian cuisine, for example suckling pig and soup "gallurese". On some evenings you can admire Sardinian folk dance in typical local dress while you are eating. Fish specialities and typical Sardinian cuisine. Half-day or full day on foot or by mountain bike. Provides front suspension mountain bikes and helmets. They also have a minivan for transfers. In autumn and winter time it is best to contact the staff of Sardigna by Bike ahead of time. In Italy, both the police (Polizia di stato) and the Carabinieri can be contacted regarding thefts or car accidents. There are excursions and easy cruises to Tavolara. The ferry departs daily from 9-13. Return: 12.30-15.30-16.30-17.30-18.30. In the pre-season you should call in advance to confirm the departure times. During the trip you pass by various bays. You pass the island of Molara (from mid-June you will also take swimming breaks) and the rock faces of Tavolara. The trip ends at Tavolara beach where you can relax from 12.30-16.30. On the island, next to the beach is a circular path through nature, a historical cemetery, a restaurant and a bar. Departure daily from Porto San Paolo. Boat hire and mooring on the beach of Lu Impostu and Cala Brandinchi. On request, an anchorage can be arranged on the beach of Cala Ginepro (for guests of Villa Cala Ginepro). For years, Blu oltre la Prua has been organizing unforgettable day trips for holidaymakers on the fishing boats Franco and Desideria. Experience a day as a fisherman, where you can watch and help with the fishing and then enjoy the delicious food. Swimming stops are provided on each excursion. The boats go to La Maddalena and the natural reserve of Tavolara. Departure daily from the port of Golfo Aranci at 9:00 returning at around 17:00. Boat and dinghy hire with or without a skipper, water sports and water park. Fish specialties, seating with a breathtaking view of the sea and Tavolara. This beach bar is located on the Porto Taverna beach facing the sea to the left of the lagoon. It offers an elegant and comfortable atmosphere with a stunning panoramic view, as well as good food and delicious aperitifs. Open from 8:00 to 3:00 in the morning. On special occasions, they also organise parties with music and dancing on the beach. This restaurant is run by the same owners as La Tavernetta. Here fresh pasta and grilled meat is served. Restaurant situated on the beach of Porto San Paolo in front of the harbour. It faces the sea and offers breathtaking views of the Tavolara island. Great food, selected products. We recommend taking the morning ferry from Porto San Paolo to Tavolara, where you can spend the day and have lunch (guided tours can also be booked). A restaurant, large terrace, pool and green space with the trendiest atmosphere. The pool is open from 10:00; from 12:00 lunch is available, aperitifs and dinner from 18:00. Fresh seasonal produce cooked to perfection. And they have very good pizza. Directly on the beach, they serve pizza, meat and fish dishes for lunch and dinner. This hotel has a fine restaurant, even mentioned in the Michelin guide. Here you can dine with a view of the sea. The entire hotel as well as the restaurant is aimed to please adult guests rather than families. Excellent food in a refined and professional atmosphere. Restaurant with stylish furniture in the streets of Olbia. Enjoy well-made Sardinian specialties. Situated in the historic centre of Olbia, this restaurant is unpretentious and has excellent food. Casual style restaurant, good fish dishes. Restaurant and pizzeria with simple, but very tasty dishes. A family run business, they offer excellent fish dishes. This restaurant in a former kiosk offers good food right on the beach. Welcoming atmosphere serving authentic, Naples-style pizza. La Palma serves Sardinian cuisine for lunch and dinner. The fish served here comes from the sea and not from a fish farm. The fresh noodles and desserts are all homemade. The restaurant also offers a selection of delicious gluten-free dishes. Elegant ambience, a beautiful location and extraordinarily good food for those not looking to save money. Sardinian cuisine as well as fish specialities and pizza. The food is served on a beautiful open terrace with sea views. The food ranges from local cheese varieties, to grilled meat and fish, to typical desserts and liqueurs. Trendy restaurant in the exclusive centre of Porto Rotondo. Be prepared to pay around € 50,00-60,00 per person. An internationally recognized golf course with 9 holes. In northern Sardinia, nearly every small town has a supermarket belonging to the Dettori Market chain. They always have a good selection, and most have a counter for fresh meat, sausages and sometimes fish. Grocery shop in the village of Golfo di Marinella very close to the beach of the same name. Located about 2.5 km from the centre of Porto Rotondo. Small supermarket from the chain Nonna Isa in the centre of Porto Rotondo. At the Porto Taverna harbour. You can hire windsurfers and kayaks, and take lessons on them. Kitesurfing and Stand-up Paddling lessons from professional instructors. Trail rides and riding lessons on a heavenly horse farm. The owners speak English. This riding stable is located on the la Cinta beach and has been in existence for more than 40 years. There are organised excursions and lessons; the minimum age is 8 years. Thanks to the great location you can admire the special flora and fauna of the area during the rides. They organise guided dives, professional diving courses, snorkelling, dolphin watching and mermaiding (mermaid swimming). They organise scuba diving courses, hiking, mountain bike trips, dolphin watching and boat trips. Porto Rotondo's first diving centre, managed by Corrado Caboni. From scuba diving to snorkelling to professional dives, this dive centre offers everything. The penthouse of Villa Taverna is just a stone's throw away from the idyllic Porto Taverna beach. Here you will find all that Sardinia is known for: deep blue, crystal-clear water and a white sand beach, as you see in a catalogue. On your terrace, you can listen to the sound of the waves, and let your gaze wander over the sea and the offshore rocky island of Tavolara. This breathtaking view will enchant you from the first moment. A narrow, knee-deep lagoon connects the inland lake with the sea. To get from the house to the sea, you cross over the lagoon on a boardwalk. The apartment is located on the top floor of our Villa Tavolara, which belongs to a group of five stone houses on the Porto Taverna beach. The apartment, which has its own roof terrace, can be reached via an external staircase. Therefore you enjoy your vacation here completely undisturbed. From the terrace, you can see the white sandy beach during the day and enjoy southern nights under the starry sky in the evening. The apartment has a bedroom with a double bed with private bathroom and a bedroom with two single beds. There is also a second bathroom with shower and a fully equipped, modern kitchen with a dining table and a couch. A small mini-market and a pizzeria can be found within walking distance at the Camping Tavolara. Restaurants and supermarkets are located in the fishing village of Porto S. Paolo, just 4 km away, as well as in the village of S. Teodoro to the south. Right next to the small local fishermen’s harbour, an idyllic restaurant overlooking the island of Tavolara invites you for lunch or dinner al fresco. Only a few kilometres away, you will find the beaches of Capo Coda Cavallo, Cala Brandinchi, Lu Impostu, and the famous Cintastrand of S. Teodoro. To the north are the Costa Corallina beaches of Porto Istana, Capo Ceraso, Li Cuncheddi, and Le Saline. A wide range of leisure activities can be found on the beaches (dinghy and surf hire), but also stud farms. Bicycle or scooter hire completes the possibilities. The nearest golf course (18 holes) is about 10 km south in Puntaldia. The airport and port of Olbia are less than half an hour away by car. Sea view, sandy beach and turquoise blue waterThe penthouse of Villa Taverna is just a stone's throw away from the idyllic Porto Taverna beach. Here you will find all that Sardinia is known for: deep blue, crystal-clear water and a white sand beach, as you see in a catalogue. On your terrace, you can listen to the sound of the waves, and let your gaze wander over the sea and the offshore rocky island of Tavolara. This breathtaking view will enchant you from the first moment. A narrow, knee-deep lagoon connects the inland lake with the sea. To get from the house to the sea, you cross over the lagoon on a boardwalk.Pine trees, a lagoon and Gallura bouldersThe apartment is located on the top floor of our Villa Tavolara, which belongs to a group of five stone houses on the Porto Taverna beach. The apartment, which has its own roof terrace, can be reached via an external staircase. Therefore you enjoy your vacation here completely undisturbed. From the terrace, you can see the white sandy beach during the day and enjoy southern nights under the starry sky in the evening.The apartment has a bedroom with a double bed with private bathroom and a bedroom with two single beds. There is also a second bathroom with shower and a fully equipped, modern kitchen with a dining table and a couch.In the immediate vicinityA small mini-market and a pizzeria can be found within walking distance at the Camping Tavolara. Restaurants and supermarkets are located in the fishing village of Porto S. Paolo, just 4 km away, as well as in the village of S. Teodoro to the south. Right next to the small local fishermen’s harbour, an idyllic restaurant overlooking the island of Tavolara invites you for lunch or dinner al fresco. Only a few kilometres away, you will find the beaches of Capo Coda Cavallo, Cala Brandinchi, Lu Impostu, and the famous Cintastrand of S. Teodoro. To the north are the Costa Corallina beaches of Porto Istana, Capo Ceraso, Li Cuncheddi, and Le Saline. A wide range of leisure activities can be found on the beaches (dinghy and surf hire), but also stud farms. Bicycle or scooter hire completes the possibilities. The nearest golf course (18 holes) is about 10 km south in Puntaldia. The airport and port of Olbia are less than half an hour away by car. Our Villa Taverna is located directly on the Porto Taverna beach. The view of the rocky island Tavolara, the landmark of the area, is fascinating. Casa Roccia, a stone house on a hill near the sea, airy and luminous, under pine trees, framed by imposing granite cliffs - a dream vacation residence. Casa Grazia, a stone house on a hill near the sea, airy and luminous, under pine trees, framed by imposing granite cliffs – a dream vacation residence. Casa Pineta, a stone house on a hill near the sea, airy and luminous, under pine trees, framed by imposing granite cliffs - a dream vacation residence. Casa Laguna, a stone house on a hill near the sea, airy and luminous, under pine trees, framed by imposing granite cliffs - a dream vacation residence. Casa Bosco, a stone house on a hill near the sea, airy and luminous, under pine trees, framed by imposing granite cliffs - a dream vacation residence. Casa Graziella - paradisiac location with a view of the beach and Porto Taverna. Villa Cala Ginepro is a superb vacation home with private pool right on the beach: full of light and sun-kissed. Cala Ginepro is located south of Olbia, on the promontory of Monte Petrosu.